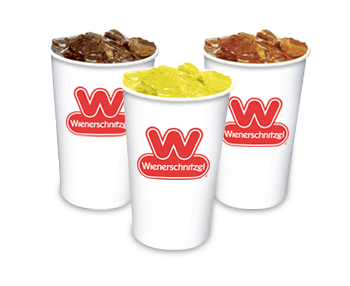 Wienerschnitzel released today its first annual Wiener Index,* a survey that reveals the latest consumer trends and fun facts related to the fast food space. And as Tax Day approaches, giving in to fast food cravings can improve a bad day. When asked, 70 percent of Americans frequently get fast food to treat themselves, with Millennials even more likely to indulge in a fast food to help boost their mood (81 percent). Crazy for Dogs: Apparently, one hot dog isn’t enough. On average, Americans think they could eat three hot dogs in one sitting and nearly half (48 percent) believe they could eat three or more. Doggone Good: The survey revealed how Americans like their hot dogs, with 82 percent preferring a hot dog more than a corn dog, 80 percent like chili with other hot dog toppings, such as cheese, compared to chili alone and aside from ketchup and mustard, Americans favorite hot dog toppings are chili (25 percent), onions (21 percent) and relish (20 percent). What in a Name? Americans’ top nickname for a hot dog varies, with “Dog” (39 percent), followed by “Wiener” (29 percent), “Frank” (23 percent) and “Sausage” (9 percent). *The Wiener Index Survey by Wienerschnitzel was conducted by Wakefield Research (www.wakefieldresearch.com) among 1,000 nationally representative U.S. adults ages 18+, between February 14th and 21st, 2017, using an email invitation and an online survey.